Where else can you raft a class IV rapid into a tunnel? 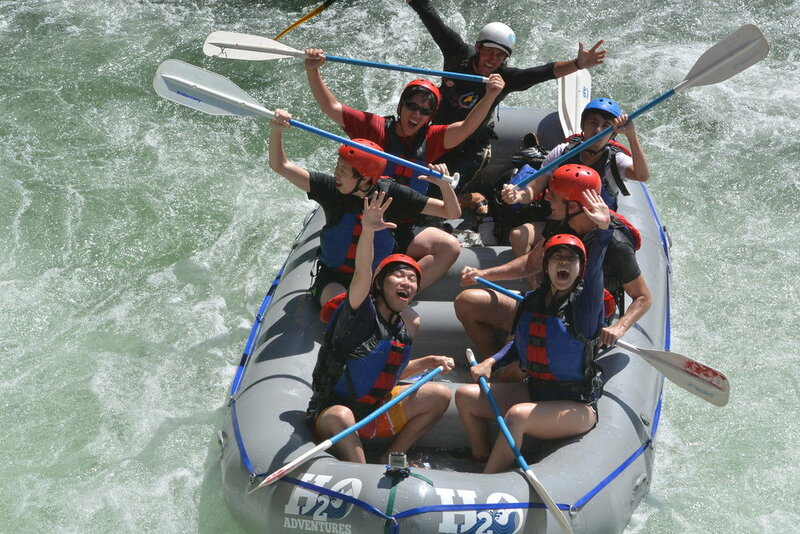 The Middle Fork of the American River is the best summertime Class IV whitewater in California. This trip meets at 8:15 AM in Auburn. A 45 minute van ride dead ends at Oxbow Reservoir where gear is distributed and the stoke begins. H2O hits your face early with Good Morning rapid. A warmup is immediately needed as the infamous Tunnel Chute rapid is just over a mile downstream. After five miles of good class 3/4 whitewater, the river settles down and provides opportunities for rock jumping, surfing, and ‘riding the bull’ as we float through the canyon towards a riverside lunch stop. Following lunch the river complies with our need to digest and remains calm for a few more miles until arriving at Chunder Pond. From here the river changes drastically with rapids such as Chunder Falls, Parallel Parking, and Ski Jump bringing your adrenaline to a high again. A mandatory walk around Rack-A-Chucky falls allows for a chance to watch your guides run their raft down a commercial class 6 waterfall. Your trip concludes at the old Greenwood Bridge site. Guests are returned to their vehicles around 4:00 PM. CALL TO DISCUSS MULTI-DAY OPTIONS ON THE middle FORK OF THE AMERICAN RIVER AT: 530.277.3433 AND GET STARTED CREATING YOUR 'BEST DAY EVER EXPERIENCE' TODAY.